Co-organized with Slow-Mo classic慢騎主義, Fest Zero Ride is Hong Kong's first Ride to Music Concert cycling event. The route: Kowloon City Ferry Pier > Sung Wong Toi Road > Prince Edward Road East > Kwun Tong Road > Ngau Tau Kok Road > Hoi Bun Road > Kai Tak Runway Park where Fest Zero Live will be held. Participants will need to bring their own bicycles. 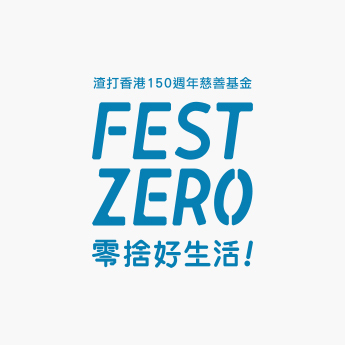 Fest Zero Live, the outdoor concert hosted by Wong Chi Chung, will be the finale of this year’s Fest Zero, the lineup of artists are: Endy Chow (周國賢), Lil’ Ashes (小塵埃), ketchup, Yukilovey (勞嘉怡), Michael Lai (黎曉陽) & Jun C.
Fest Zero RIDE is sponsored by Standard Chartered Hong Kong 150th Anniversary Community Foundation. The route is about 10km long and is mostly flat. People with chronic illness are advised to seek doctor’s approval before participating. The event will take place in traffic, therefore a certain level of cycling skills and on-road experience are required. There are risks associated with participating in a bike tour. Participant must be at least 18 years of age, is responsible for his/her own safety, obey the traffic law and regulations of Hong Kong, and follow the guidance given by the police and the ride marshals. Participant agrees that the organizer bears no responsibility should an accident/injury occur, arising out of the participant’s neglilgence, poor physical condition or inadequate skills in operating a bicycle. Participants should consider purchasing insurance if deemed necessary. The law requires that a bell, a reflector and at least one brake be mounted on the bicycle. If you will continue riding at night, front and rear lights must be mounted. In case of bad weather, special arrangements will be announced before 10am on that day (3/10). Please follow the updates on our Facebook page. The organizer reserves all the rights to change and alter any arrangements of the event without prior notice to the participants.